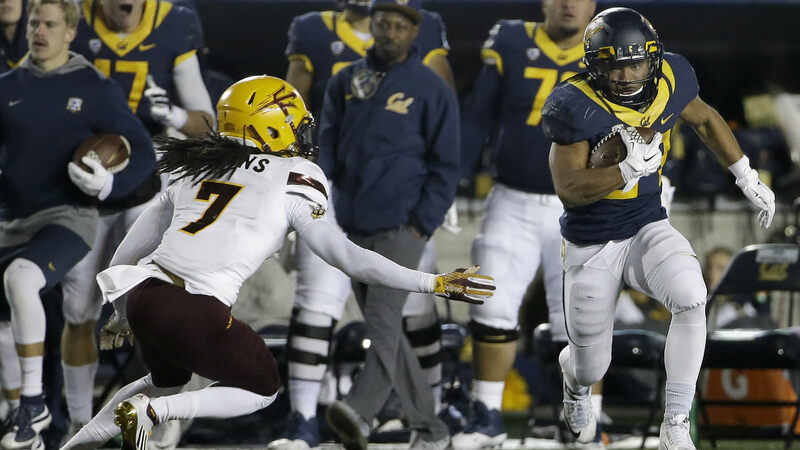 BERKELEY, Calif. -- Jared Goff threw five touchdown passes and Matt Anderson kicked a 26-yard field goal as time expired to cap an improbable comeback and lift California to a 48-46 win over Arizona State on Saturday night. Goff completed 30 of 51 passes for a school-record 542 yards in what may be his final game at Memorial Stadium. The Golden Bears' record-setting quarterback is projected as a first-round pick in the 2016 NFL draft should he forgo his senior year. California (7-5, 4-5 Pac-12) trailed by 21 points midway through the second quarter but outscored Arizona State 38-19 over the final two quarters. It's the first time the Bears have won more than six games since 2011. Mike Bercovici threw four touchdown passes and Zane Gonzalez set a school record with six field goals - four in the second half - for Arizona State (6-6, 4-5).